hair, skin, nails, & beauty. At Luxe Beautique, we understand that some haircut experiences are a nightmare. That’s why we hire experienced hair stylists who care about your hair and know how to create any look. At our Bismarck, ND hair salon, we want you to love your new cut, color or style and we aren’t happy until you are. 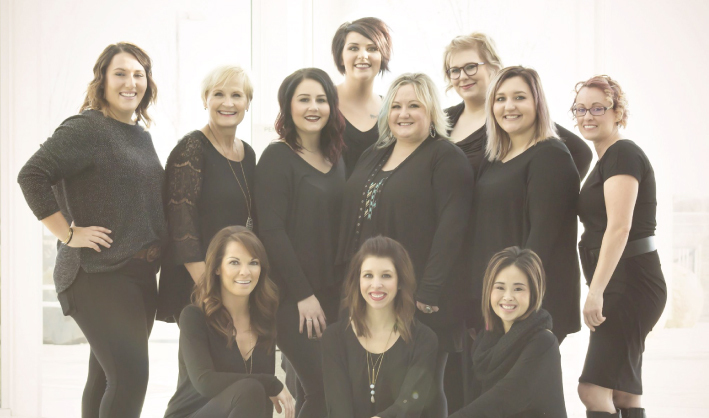 Let our expert hair stylists show you what an amazing beauty salon experience is like in Bismarck, ND. Not only can Luxe Beautique provide your hair with a look and feel you’ve been looking for, but we also offer the type of complimentary services you would come to expect at a luxury beautique or vacation resort. Treat your entire self to our deep tissue massage, body waxing, facial, nail manicures and pedicures. Check out our salon and spa packages that combine some of our most recommended and popular services.